Most doctors have a license to practice medicine in just one state. Lindsey Mcilvena can practice in 26. “I’ve lost track a little bit,” she said of all her medical licenses. Mcilvena is a telemedicine doctor, one of a growing number of physicians who prefer to treat patients remotely, from the comfort of their own homes – perhaps even while still in their pajamas. They connect with patients by video chat, or through new apps where patients can use their smartphone to talk to a doctor about a cold or a prescription. For Mcilvena, 35, it began as a side gig. She was fresh out of medical school, running her own one-woman practice in Encinitas, California. She started to take telemedicine appointments to help pay the bills as she expanded her brick-and-mortar practice. She liked it so much that in 2015 she made the leap to practicing remotely full time. At first, she relished the ability to take an afternoon yoga class or grab a midday coffee with a friend. Nowadays, Mcilvena works full-time for the telemedicine startup HeyDoctor, which allows her to treat patients while still spending ample time with her 16-month-old son. Telemedicine is still, by most accounts, a niche occupation. A study published in December in the academic journal Health Affairs combed 2016 survey results from the American Medical Association to find that only 15.4 percent of physicians worked in practices using telemedicine. But that may soon change. Long heralded by the medical community for its potential to make health care more accessible and efficient, telemedicine now seems poised to go mainstream – and raise new questions about how medicine practiced through an app compares to a doctor’s office visit. Private health plans, Medicare, most state Medicaid programs, and the U.S. Department of Veterans Affairs all cover some virtual doctor’s visits. More than 35 states and the District of Columbia now have laws requiring private insurance companies to reimburse providers for care delivered remotely. In telemedicine, tech-savvy doctors who are good communicators are the ones who thrive. Those changes have led to a boom in well-funded telehealth startups like HeyDoctor, Roman and Hims, the Viagra-selling company that in January was valued at $1 billion. With slick apps and buzzy marketing, the companies are creating fresh opportunities for physicians and bolstering a marketplace anchored by telehealth stalwarts such as MDLive Inc. and Doctor On Demand Inc. And for some of those physicians, especially younger ones who grew up doing almost everything online, telemedicine is no longer a side gig: It’s a career goal. 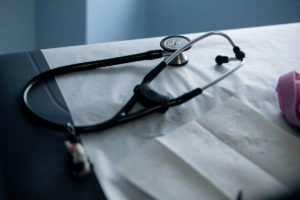 Many of the conditions for which people go to a primary care doctor, Levy said, can just as easily be treated by talking to a doctor through an app. Levy says that in many scenarios – especially conditions that might prompt a visit to an urgent-care center, such as the flu – telemedicine technology actually allows doctors to provide better care. At the same time, some doctors worry that virtual visits undermine the doctor-patient relationship, or that they might get paid less. The American Medical Association supports telemedicine so long as it’s “consistent with related in-person services.” Among the biggest challenges seems to be discerning when telemedicine should defer to old-fashioned office visits.”A number of randomized, controlled trials have demonstrated telemedicine is equivalent to face-to-face treatment,” said Ateev Mehrotra, a doctor and professor of health-care policy at Harvard Medical School. Telemedicine, he said, is great for things like mental health or urgent care. Where that gets trickier, he said, is when someone’s condition requires a physical examination, such as a urinary tract infection or strep throat.”Telemedicine is designed to be quick and transactional, but that becomes more complicated when you get into things like testing someone,” he said. Companies recruit doctors via websites like Drop Out Club, a job board for physicians interested in nontraditional work. A startup entirely dedicated to helping doctors find telehealth jobs, Enzyme Health, launched last year. Michelle Davey, CEO of Enzyme, said the company has found that a doctor’s great bedside manner doesn’t always translate into a great “webside” manner. In telemedicine, tech-savvy doctors who are good communicators are the ones who thrive. She said the company sees young doctors fresh out of med school looking to earn extra cash, as well as older physicians who want to partially retire without stopping practice all together. About a quarter, she estimates, practice telemedicine full time, though she said that number is growing as the idea of a career working remotely becomes more mainstream. “The current system doesn’t work. It’s inefficient,” said Amy Fan, a 30-year-old doctor who recently started her own pediatric telemedicine practice, called Kinder. Fan said that while doing her medical residency, she found the communication between doctor and patient constantly frustrating. Patients couldn’t easily reach out to ask simple questions, and doctors couldn’t easily follow up. Mcilvena said she spent about $10,000 getting her 26 medical licenses. Getting the first five, she said, was excruciating, requiring filling out many documents and sending in records and transcripts. Sometimes she would have to wait as long as a year to receive a new license. Then, in 2017, the Interstate Licensure Medical Compact went into effect. It created a centralized body that allows doctors to more easily apply for licenses in multiple states. As of this year, about half of U.S. states are members. More recently, Mcilvena has used Medspoke, a company that, for a fee, handles the hassles of licensing.